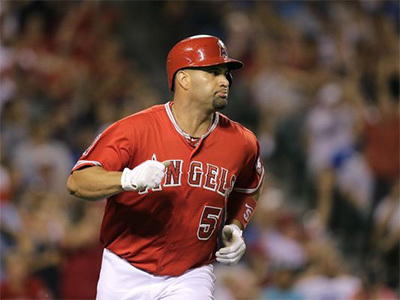 Los Angeles Angels superstar Albert Pujols hit his 564th and 565th home runs Monday, surpassing Hall of Famer Reggie Jackson and putting him 13th all time in career home runs. "Even to put my name with those legends in baseball before me is pretty special," Pujols said after passing Jackson, per Alden Gonzalez of MLB.com. "I would've never thought in my entire life that I'd be able to do that. I've done some crazy things in this game and passed some unbelievable names, but my only focus is to help this organization to win." You thought last season was a milestone-fest for Alex Rodriguez, but 2016 could be more of the same for the Yankee designated hitter, who is approaching some pretty gaudy baseball numbers. A-Rod has 687 career home runs, meaning he needs only 13 more to join Barry Bonds (762), Hank Aaron (755) and Babe Ruth (714) as the only members of the 700-homer club. 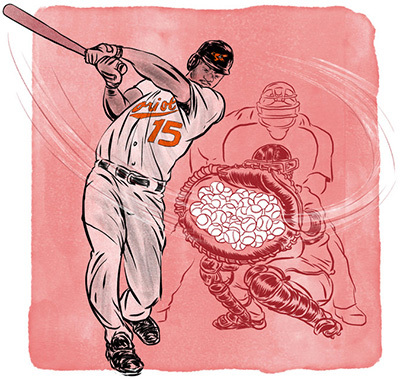 If Rodriguez totals 28 homers — he had 33 last year in his first season back from his drug suspension — he’ll have 715, eclipsing The Bambino’s hallowed total, one of the most recognizable stats in sports. Baseball has far more games than other sports, increasing the chances that over the course of time, some truly unusual things will happen. Here is a sampling, meant to both intrigue and amuse. The Hall of Famer Casey Stengel used to impishly proclaim, “You could look it up!” We did. Facing the New York Giants on July 17, 1914, Babe Adams of Pittsburgh pitches an entire 21-inning game without issuing a walk. He still loses the game, 3-1, when he allows two runs in the top of the 21st inning. 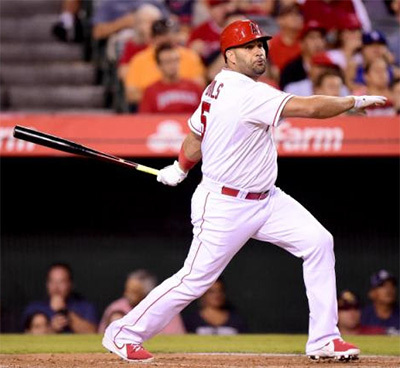 The Los Angeles Angels medical staff may suggest Albert Pujols won't be ready for the start of the regular season, but the slugger thinks otherwise. Smiling, pain free and eager to get the Angels back to the playoffs, Pujols arrived at spring training Tuesday optimistic in his recovery from off-season surgery on his right foot. 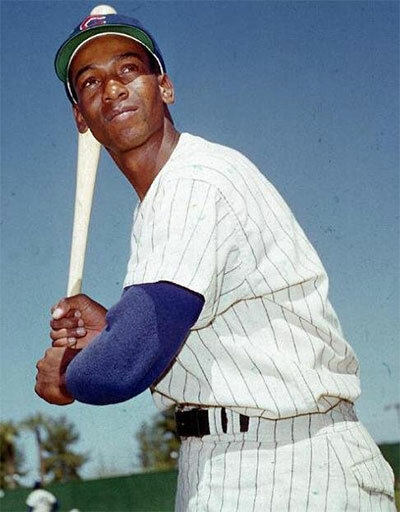 The legacy left behind by Chicago Cubs legend and baseball Hall of Famer Ernie Banks goes well beyond his accomplishments on the playing field. 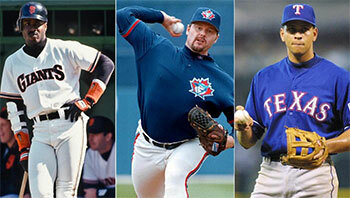 Sure, the game of baseball was his passion and his driving force, but it wasn't what defined him. 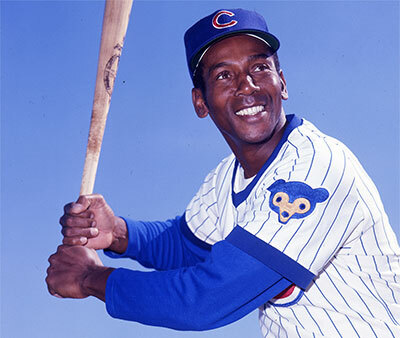 When you think of Ernie Banks, you think of the person he was, the energy and enthusiasm he possessed and the kindness and loyalty he showed every day of his life. With news of his death on Friday evening, you can't help but feel like some of the world's optimism and happiness died along with him. He was so filled with both that it always rubbed off on those who met him. That's the man we'll remember and honor, and that's exactly how it should be. However, we'd be doing his legacy a disservice if we didn't take a step back and marvel at all that he did accomplish while carving out a Hall of Fame career on the diamond. 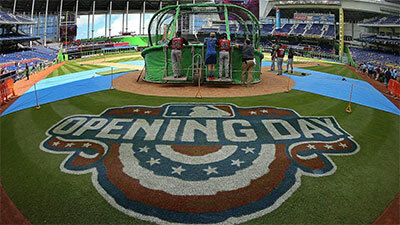 When spring training began, the Los Angeles Angels had only hoped Albert Pujols would be ready for game action by St. Patrick's Day coming back from offseason foot surgery. From there, they would worry about his status for opening day. 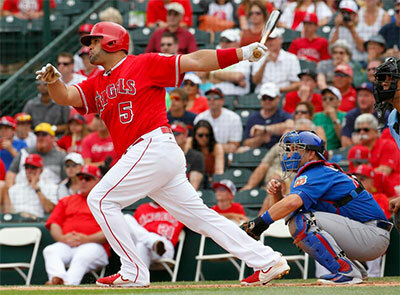 Pujols ended up beating that timeframe by nearly two weeks. Then on Saturday, he cemented his opening day status by entering mid-season form with just over two weeks to spare. 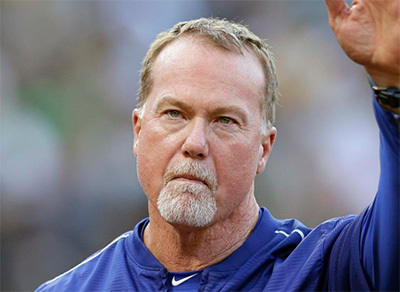 New Padres bench coach Mark McGwire is absent from spring training while he takes care of family matters back in Southern California. 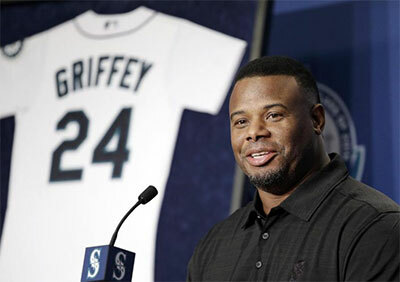 New manager Andy Green said McGwire, the one-time home run king, was in camp earlier, and the two talk by phone every day. As a kid growing up on Chicago's South Side in the 1950s, I loved baseball. But most blacks then didn't love the Chicago Cubs. There were two reasons for that. The Cubs played at Wrigley Field on Chicago's North Side, and blacks almost literally took their lives in their hands walking or driving though the lily-white, rabidly hostile neighborhoods around the ballpark. The other was that most blacks then lived on Chicago's South Side. They adored the Chicago White Sox, who played at Comiskey Park on the South Side. 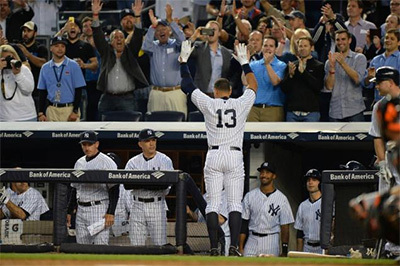 A-Rod calls possibility of tying Babe Ruth's 714 homers "overwhelming"
Alex Rodriguez enjoyed a productive 2015 season largely free of controversy, at least once he settled his dispute with the Yankees over home-run bonuses. The slugger returned from the suspension that cost him his entire 2014 season to be one of his team’s best hitters, smashing 33 home runs with an .842 OPS and collecting his 3,000th hit in the process. 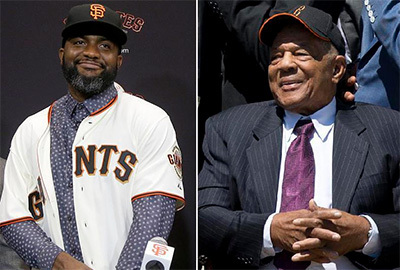 It has been nearly 69 years since Jackie Robinson broke the color barrier in Major League Baseball and his widow says the game still has a lot of work to do when it comes to diversity. Rachel Robinson, 93, spoke to television critics at the Television Critics Association winter meeting Monday where she appeared to discuss the scheduled April debut of "Jackie Robinson" a two-part documentary on PBS airing April 11-12. 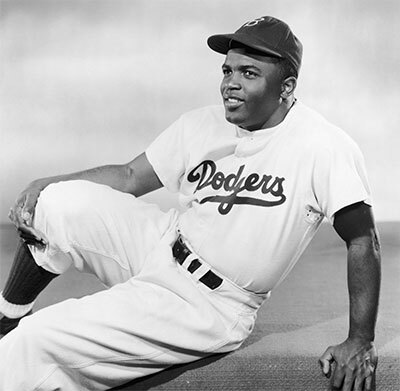 Jackie Robinson died in 1972 at 53. 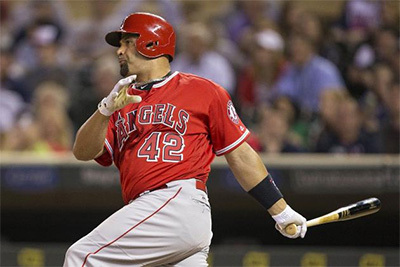 The Los Angeles Angels may be without slugger Albert Pujols when they open the 2016 on April 4. Pujols underwent surgery on his right big toe last week, and will not begin baseball activities for four and a half months, according to Alden Gonzalez of MLB.com. If that timetable is accurate, Pujols would be able to resume baseball activities again in late March. While it's possible that he would only need a week or so to be ready for the start of the season, it seems unlikely. 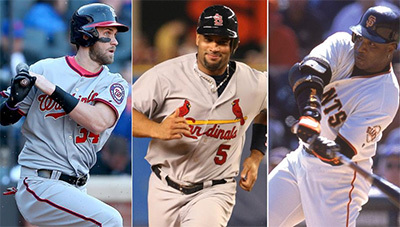 That said, Angels general manger Bill Eppler said the surgery "went very well," so maybe there's still hope for Pujols. Either way, the news isn't encouraging for the 35-year-old slugger. 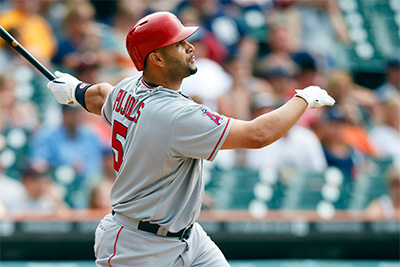 Pujols hasn't missed a lot of time during his tenure with the Angels, playing in at least 150 games in all but one of his four seasons with the club. That said, he hasn't necessarily been healthy either, playing through various injuries, which have impacted his production. 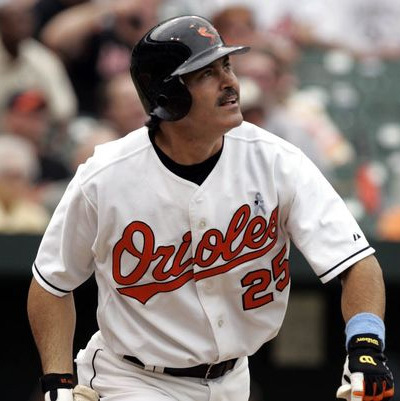 Rafael Palmeiro has signed with the Sugar Land Skeeters of the independent Atlantic League and plans to play alongside his son Patrick for the remainder of this season. Bryce Harper's 2015 season proved to be too dominant for MVP voters to ignore, despite the fact that his Nationals failed to qualify for the postseason. In being named the National League MVP on Thursday, by a unanimous vote no less, Harper became just the sixth player -- and the sport's seventh instance overall -- during the Wild Card era to earn MVP honors while playing for a team that did not make the playoffs. 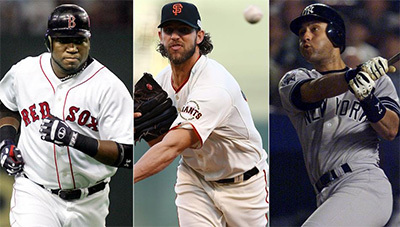 Each of the seven cases has its own circumstances, with some players simply putting up indisputable MVP-type numbers -- and others also benefitting from there being no obvious candidates on a postseason qualifier. 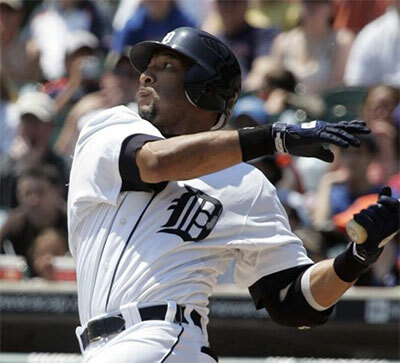 After Gary Sheffield played 22 seasons with eight teams, his career didn't end with a whimper. That hardly would have been the style of a man as fearless about standing up for himself as he was fearsome, taking one of the most violent and effective swings of his era.